Thanks largely to social media, the names C.B. Macdonald and Seth Raynor have become familiar to more than just a small group of golf historians and architecture geeks in recent years. 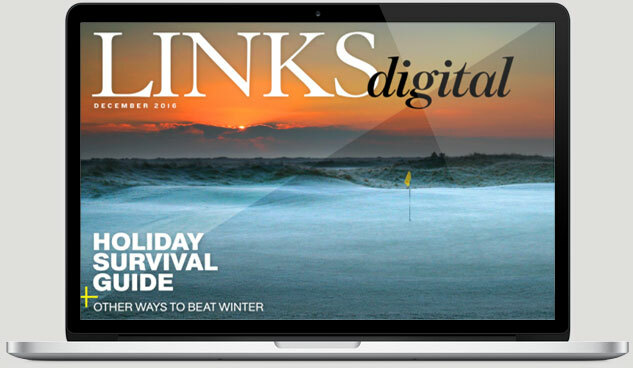 As their fame has grown, so has the desire to play the numerous top-100 courses they designed during the Golden Age of golf course architecture. The trouble, of course, is that most of what they built belongs to private clubs, and not just marginal, easy-to-join, small-town clubs that attract members with great value for money, but historic sanctuaries with small, exclusive, invitation-only memberships. 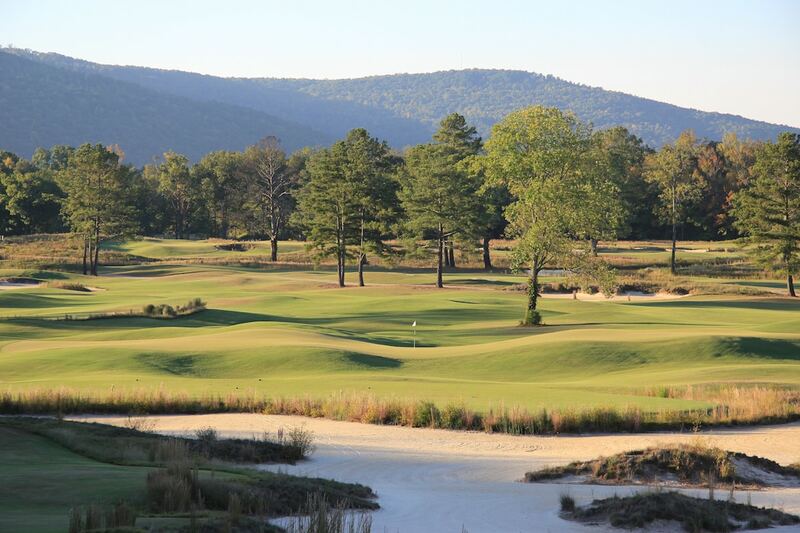 Besides the Greenbrier’s Old White Course, there are precious few Macdonald or Raynor originals the public can play. For many people, the closest they can get is Old Macdonald at Bandon Dunes, designed by Tom Doak and Jim Urbina, a fitting tribute to Macdonald that possesses many of the features and template holes for which he and Raynor are known. But stuck out on the Oregon coast, getting to it is a trek. 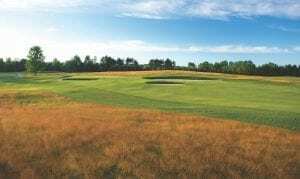 Thankfully, public golfers now have another opportunity to play the sort of course Macdonald and Raynor would have designed, the South Course at Arcadia Bluffs, at the resort of the same name in northern Michigan. 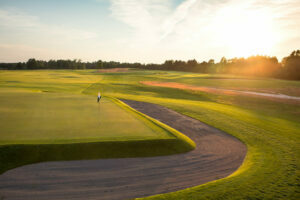 When pictures of the new layout—a mile inland from the resort’s tremendously popular first course, which fronts Lake Michigan and was designed nearly 20 years ago by Warren Henderson and Rick Smith—began appearing last year, the reaction was almost universal shock and astonishment at the rectangular bunkers cut into wide, straight-edge fairways or bordering huge, square greens, geometric features common to Macdonald/Raynor courses. 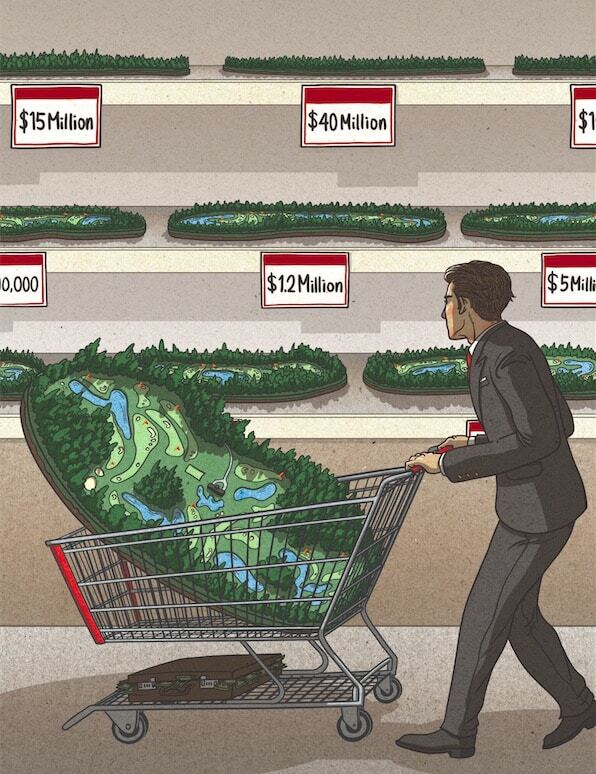 The South Course (along with the new lodge, the property’s third) certainly will do that. Sitting on a sandy 311-acre parcel, the South will be unlike anything most visitors have seen before. Fry made several visits to Chicago Golf Club looking for distinctive elements, nuances, and details. Together, Postma and Fry decided early not to copy any of Chicago’s holes directly, though there are two that might be considered templates: the 12th, a dramatic downhill par three with a Lion’s Mouth bunker similar to that on the 16th at Raynor’s Country Club of Charleston, and the 13th, a dogleg-right, uphill par four with a huge punchbowl green. “This green was in a natural valley and just fit in perfectly there,” adds Fry. 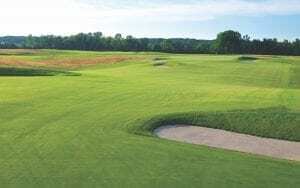 The positioning and angling of the ribbon-like, flat-bottomed fairway bunkers—which emerge from the rough and stretch quite a way across holes—will perplex many. As will the huge greens with their square edges, fragile fall-offs, and significant contouring. 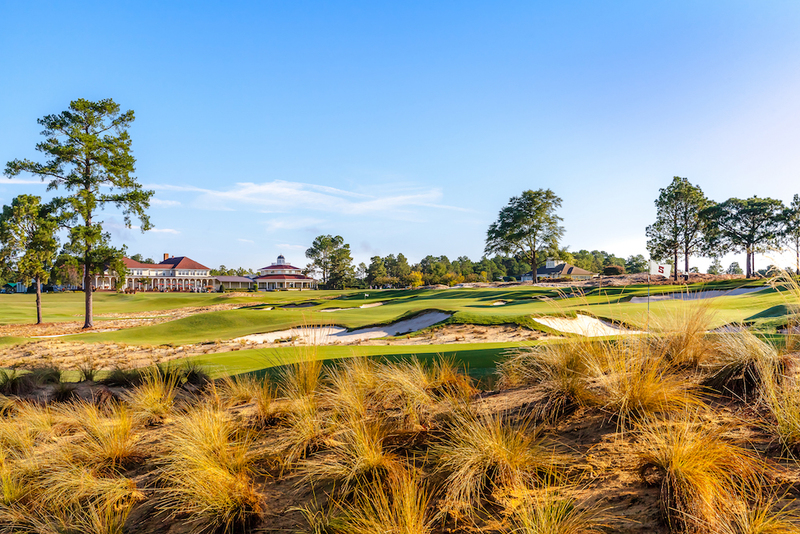 At first, the South could prove a maddening cocktail of fairway bunker shots and three-putts. Like all great layouts, though, it will need to be studied and learned, and taking advantage of the knowledge gleaned will make future trips round the South an absolute blast. Taking a caddie is also a good idea, at least for that first visit. The South Course at Arcadia Bluffs ranks among the most interesting and important new course openings of the year.